When Kim Ho-san opened an apparel store on South Korea’s southernmost resort island of Jeju in 2012, she was well-positioned to benefit from a rising flow of Chinese tourists. Six months later, the 36-year-old was asked by her landlord to leave. As visitors from China drove up sales, the property owner told her he wanted to run his own shop on the site to cash in, she says. Since then, the number of Chinese visitors to Jeju has soared, bringing wealth and jobs but also generating tension among locals, as well as some resentment toward the tourists. 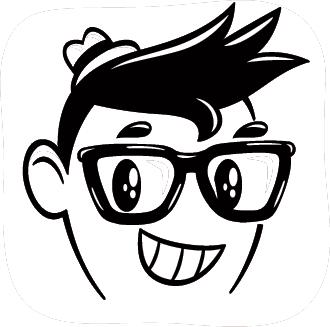 Locals say scuffles occasionally break out between Koreans and Chinese visitors in shops and bars. A surge in property investment from China is also reshaping the local economy and juicing land prices. Condominiums, hotels and casinos are springing up around the island—a development welcomed by local officials eager to boost the sleepy island economy but opposed by some residents and businesses. One Korean-run hotel has erected a banner to deny rumors that it had been bought by Chinese after it was boycotted by some locals. 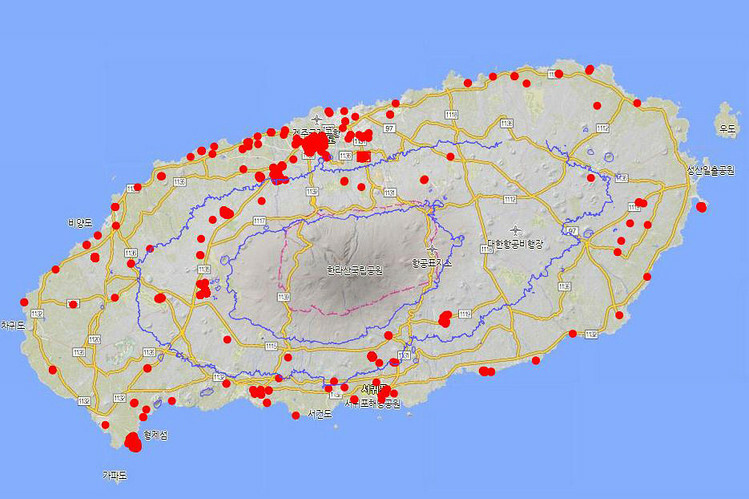 A map from Kim Tae-il, a professor at Jeju National University, based on data from the Jeju government, shows land owned by Chinese developers or individuals in Jeju. Land owned by Chinese individuals and developers on Jeju, known for its white beaches, volcanic landscape and clean air, more than doubled last year. One catalyst is South Korea’s offer of permanent-resident status for big foreign investors on Jeju, allowing them the same medical, education and employment benefits as South Koreans. Kim Tae-il, a professor at Jeju National University, likens it to a real-estate frenzy in Hawaii in the late 1970s among Japanese investors who bought skyscrapers, condos and other property as the yen surged against the dollar. “The Chinese have come to town and have started buying without worrying about price—just like the Japanese did in Hawaii,” he said. 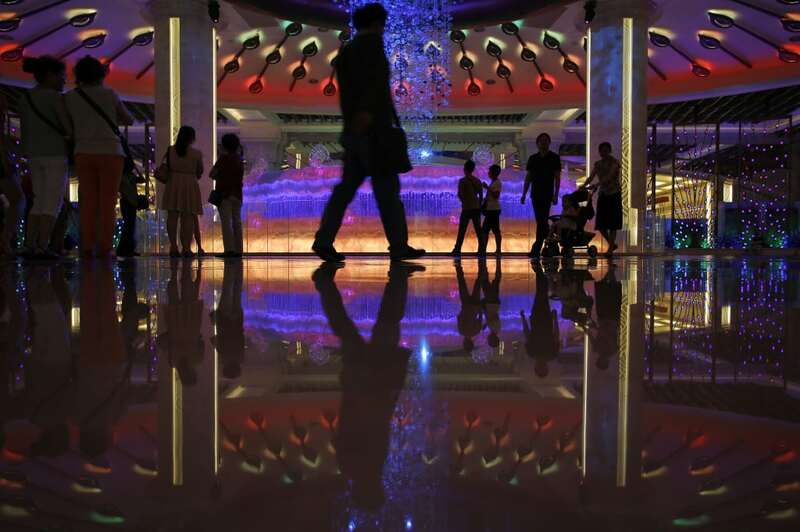 Reflecting rising incomes and eased travel restrictions, the Chinese were the world’s largest group of outbound travelers last year, taking more than 100 million trips outside the mainland. Research firm CLSA expects that figure to double by 2020, an attractive potential economic boost for countries that can lure in Chinese travelers. South Korea has been particularly welcoming for Chinese visitors to Jeju, exempting them from visas needed to visit other parts of the country. The popularity of South Korean pop music and TV dramas in China and a gradual appreciation of the Chinese currency has also helped draw visitors. 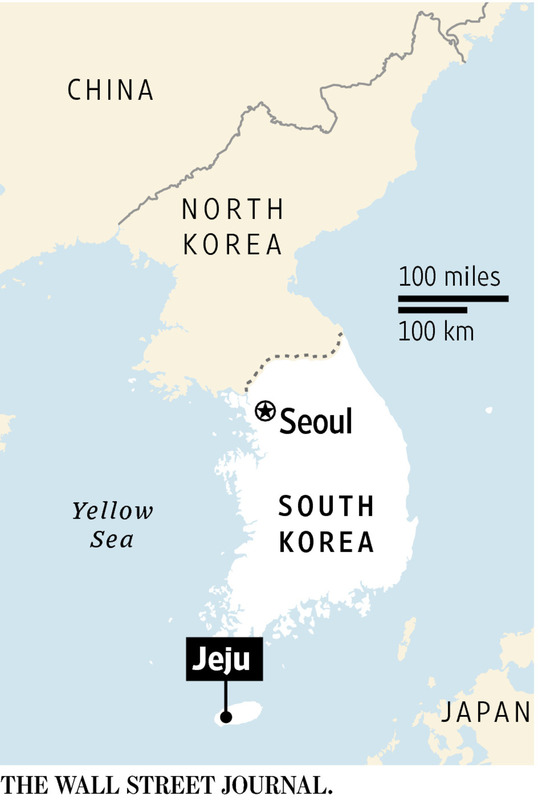 So has geography: Jeju is a one-hour flight from Shanghai and 2½ hours from Beijing. “The major reason for most people to travel to Jeju is that it’s visa-free. And the price for group travel is so cheap,” said Willa Wu, a Hangzhou, China, businesswoman who has traveled to Jeju several times. The number of Chinese visitors to Jeju jumped 58% to 2.9 million people last year, almost a half of a record 6.1 million Chinese tourists to South Korea in 2014. In another move to jump start the local economy, authorities eased investment rules in February 2010, giving permanent residency to foreigners who purchase property worth at least 500 million won ($450,450) in designated districts and who keep them for five years. Until tourism transformed Jeju, it was a sleepy island dedicated mainly to farming and fishing. So many men left the island for better jobs that the predominance of women was one of the three things the island was most known for. The other two were wind and volcanic rocks. 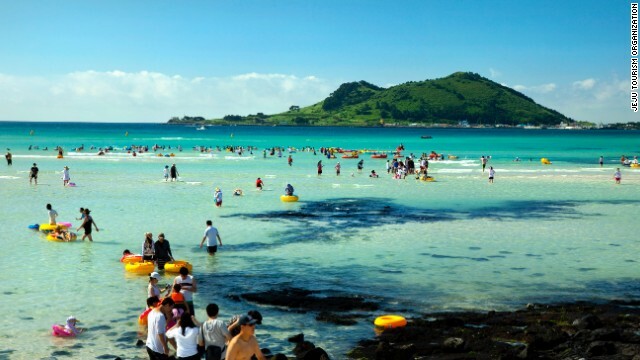 For a time in the last several years, Jeju was especially welcoming to the Chinese, whom officials thought could help vault the island from a regional destination to an international one. Although South Koreans have long ensured that Chinatowns did not form in their cities, Jeju became the first province to give one of its busiest shopping districts a Chinese name. Baojian Street was named after a Chinese health care product company that brought 11,000 employees to Jeju on incentive tours in 2011. Lisa Xue, 60, a Chinese tourist on a recent visit, said she and others were attracted to the island by its proximity — just a two-hour flight from Beijing — while wealthy Chinese saw it as a good place to buy property. But in the last year or so, local news media and critics began accusing Chinese real estate investors of “encroaching upon” Korean land. They also complained that most of the Chinese tourists were brought to Jeju by Chinese tourist agencies and not only violated some social mores, but often stayed, ate and shopped in Chinese-controlled hotels, restaurants and shopping centers. In a survey of 1,000 islanders last year, 68 percent said the growing number of Chinese tourists did not help Jeju’s development.